Earlier today Jools Watsham unveiled Atooi's first game since the closure of Renegade Kid, the well-known studio that he'd co-founded a decade ago. Though Totes the Goat was previously released on iOS as an Atooi title, there's nevertheless the sense that the newly announced Chicken Wiggle is a debut title for the studio. With Atooi picking up all of the 2D Renegade Kid franchises it wouldn't have been surprising to see one of those IPs as a first release, but instead we have this rather ambitious new IP. In addition to a story mode its core selling point is a full level creation and sharing tool; considering this 2D platformer is coming to the 3DS eShop with these features, it could certainly establish itself as a relatively unique proposition on the portable. Keen to learn more about Chicken Wiggle and Atooi, we had a chat with Jools Watsham to pick apart some more details. We talk about the renewing of the 2D 'team' from the Renegade Kid days, learn much more about Chicken Wiggle and its features, and also get an insight into Watsham's development philosophy for Atooi. It's the start of a new era for you; what are the main emotions as you set out on your first Atooi project since Renegade Kid closed? Retro roots. Modern mojo. Atooi is focused on the development of retro inspired games that capture the essence of the past and unite it with the magic of tomorrow. Retro roots. Modern mojo. Atooi is focused on the development of retro inspired games that capture the essence of the past and unite it with the magic of tomorrow. Atooi properties: Mutant Mudds, Xeodrifter, Treasurenauts, Bomb Monkey, and Chicken Wiggle. Where does the name 'Atooi' come from? I have always been fascinated with Hawaii and all things paradise. Perhaps I need to go on vacation more! Anyway… many years ago, I was researching the history of Hawaii and came to the chapter where explorer, James Cook, discovered the islands in 1778. He called them the Sandwich Islands. What we know of today as the island of Kauai was nicknamed Atooi, which I immediately became very fond of. Needless to say, I nabbed the dotcom and held onto it all these years just in case! Can you tell us about the Atooi team, and those you'll be working with? Yes, we're getting the band back together – as it were – in terms of what was Renegade Kid's "2D team". Matthew Gambrell, who handled the programming of Mutant Mudds, Bomb Monkey, Xeodrifter, Treasurenauts and many other titles is the programmer at Atooi. Matthew and I work very well together as a team. We both have a deep respect and much love for the 2D genre and push ourselves to create games worthy of the impressive legacy established in the 16-bit era." Can you outline the key ideas and features of Chicken Wiggle? If you had to pick one favourite creation tool in the game that you think players will enjoy, what would it be? Wow, well, there are a ton of unique elements the player can utilize to make their own levels – so it's difficult to choose just one favourite element. I made every level in the game with the built-in level editor provided with the game, and I really enjoy the process. I wanted to make sure my experience with creating levels was the same as the player's, to ensure we ironed out any issues with the process before we launched the game. Each time I make a level I approach it a little differently. Sometimes I like to first create the path the player travels, with jump gaps, grapples, and bouncy springs that eventually lead to the end-of-level goal. 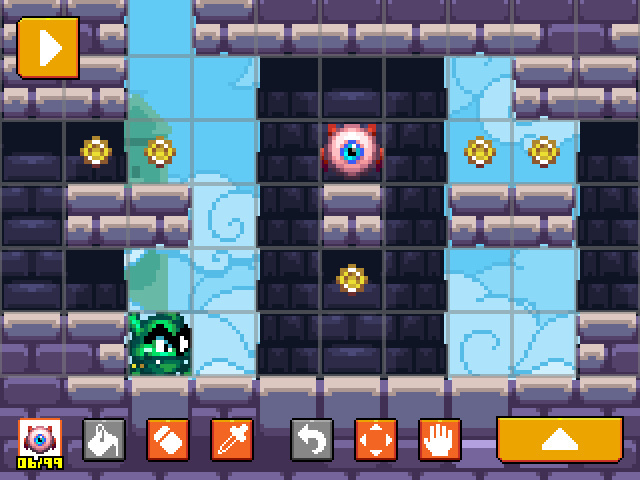 And then, as a second pass, I add enemies and hazards to that path to make it more challenging and interesting. Sometimes enemies slot in naturally. Other times, I may need to alter the original path to cater to an enemy idea I think of at that moment. The great thing is that it is easy and quick to make these changes, and you can immediately play the level to see how it feels. Was this project inspired by the success of titles like Super Mario Maker, or has the idea been in the works for longer than that? When I was a kid my gaming platforms were the Sinclair Spectrum, Commodore 64, Atari ST, and Amiga. One of my fondest memories is of my time with a program called Shoot 'Em Up Construction Kit, by Sensible Software. It enabled players to make their own rudimentary shmup games. I loved it! 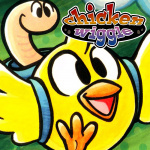 At its core, Chicken Wiggle is inspired by the concept and spirit of what I experienced as a kid with that program. Super Mario Maker certainly shows that people today still enjoy and desire the sort of hands-on experience that easy-to-use level creators can provide. Our experience with the development of Mutant Mudds and Xeodrifter was a perfect primer for us to make a new platformer with a user-friendly level creator. How did the visual design for the chicken and the worm come together, and how does this 'team' work in terms of gameplay? Matthew and I chatted for a long time, discussing various ideas for the player character. We had already determined the grapple gameplay, jumping, and attacking before deciding upon the visual representation. But, what the player actually looked like was perhaps the last thing we figured out. I think the idea for the player being a bird first came from the possibility that the tiny bird that you see at the beginning of Mutant Mudds would actually be the player. We abandoned that idea though. We didn't want this new universe tethered by any expectations of the Mutant Mudds universe. We are fans of goofy ideas and quirky concepts, so the chicken and worm duo was born one skype call we had. Once the idea of a chicken carrying a worm in his backpack – a worm being something that would naturally be assumed to be a chicken's dinner – I knew that it presented a nice sense of humor and perhaps something intriguing for the player to discover. It's not like the game is deep on story, but you have to ask yourself how a chicken and a worm became best buds, right? Chicken is a vegan. Gameplay wise, Chicken and Wiggle are very much dependent on each other – as all good teams should be. Chicken can only jump a short distance and perform a very close-range peck attack. Wiggle can be sent out like a grappling hook to hoist the duo across chasms and up to high platforms. Wiggle can also pack a hefty punch, stunning enemies with a quick grapple-slap, which puts them into a dizzy state long enough for Chicken to unleash his mighty peck attack, sending enemies spinning off the bottom of the screen. What led to the decision to bring this to the 3DS eShop? We love the 3DS. We are nearing the end of the 3DS era with the NX on the horizon. 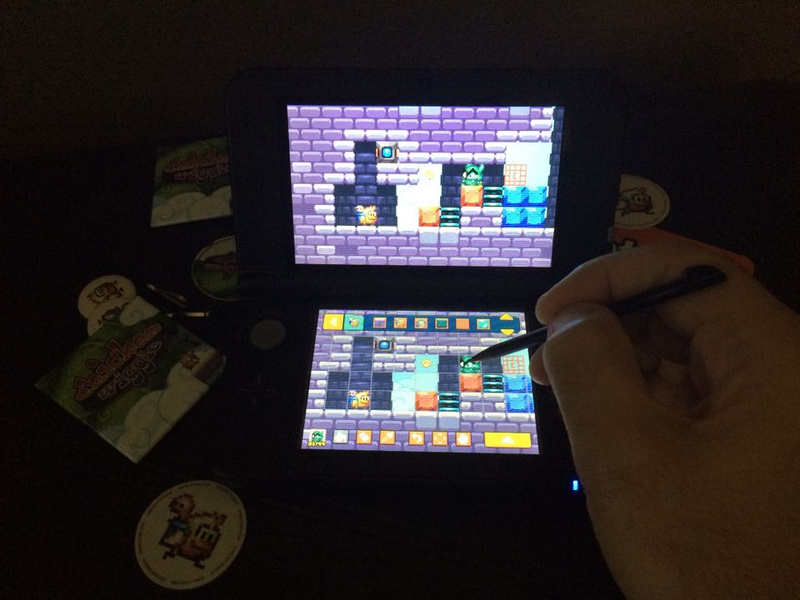 Releasing a game like Chicken Wiggle on the 3DS is a perfect fit. I think it resonates well with the Nintendo audience and will hopefully find a home with folks who enjoyed our previous Mudds games and Xeodrifter. Is this a game that you'll look to expand with updates and new tools? We are not relying on updates to expand the game. We are working hard to make the initial launch of Chicken Wiggle provide a fully realised experience. However, if the game is received really, really well and players demand updates and new features we will be delighted to support such a success with future updates or instalments in the series. How confident are you that this level-creation game will strike a nerve with the 3DS audience? I think it is always difficult to predict what others might think of something you created. I am confident that the game will deliver on our original vision for the game, which I am extremely excited about personally. In theory, I believe it will appeal to many 3DS owners, but the business of making videogames can be a strange beast sometimes – resulting in unforeseen surprises. All we can do is try our best by working hard, working smart, and having fun while doing so. I am always cautiously optimistic. The laser focus on retro-inspired games also feels more personal for me. It is something that I have always had much respect and admiration for, and have always dabbled with even before Mutant Mudds was released. What are the best and worst parts of starting out with a new studio name and an ambitious game like this? I suppose one of the nice things about a fresh start is defining ourselves again through our actions: our games. With a laser focus on retro-inspired games I am personally very excited to create new worlds and characters to explore. This of course comes with the fact that no one has heard of the new company name and may ignore anything we have to offer. Kicking off this new chapter of my career with Chicken Wiggle feels right. It feels like I am getting back to my roots. The laser focus on retro-inspired games also feels more personal for me. It is something that I have always had much respect and admiration for, and have always dabbled with even before Mutant Mudds was released. It feels like the right path for me. Do you have plans to work on any of the Renegade Kid IPs under the Atooi guise in the next couple of years? Yes. Treasurenauts is still being developed – which I am very excited about – and is moving all of its things from the RK office over to Atooi Towers. We'll have more Treasurenauts news very soon. We do have future plans for other RK IPs that have found a new home with Atooi, including the Mutant Mudds series, Bomb Monkey, and Xeodrifter. The future is bright, and I brought my sunglasses. Do you have a final message for our readers with regards to Atooi and Chicken Wiggle? We're working hard to finish development of Chicken Wiggle very soon. We hope to release it in the next few months, and we hope it is the type of game you're interested in checking out. I think it has something that fans of Mutant Mudds or Xeodrifter will like. We'd like to thank Jools Watsham for his time. These extra screenshots make the game actually look really nice. That level making tool seems well crafted, as it allows for neat levels that can be made easily. After this and treasurenaughts(both of these excite me more than any of RK/Atooi's past games have) Xeodrofter 2 would be great. xeodrifter was the first RK game that I really got hooked on. Chicken with worms? I think I've lost my appetite. Hey, this actually looks really promising! I enjoyed Mutant Mudds and Mutant Mudds Super Challenge, so I have faith in Atooi. I hope that some day we'll see Mutant Mudds 2 with 16-bit graphics, new enemies and new power-ups. Make it happen, Atooi! Seems like a good concept. Though the name could be better imo. Nice interview, he seems motivated! What's that? Speak up... Patooie you say?! At first I thought this game was gonna be crap, but after this article, Chicken Wiggle looks extremely promising. @retropunky I have thought about this for the past several minutes and Feather's Tale is the best think I can think of. I also think the worm's name should be Doug. Chicken Wiggle looks really good! I can't wait to see what Atooi produces in the future! I loved all the Renegade Kid games, so I'm really looking forward for everything Atooi will release (and the other one whose name I can't recall right now). This looks alright, but I'm still hanging on for that Treasurenauts news. Very nice interview and the game sounds fun. This is sounding like it could be very cool, and possibly the best game Jools has made to date. That sounds better than Chicken Wiggle. I couldn't think of anything clever or catchy.